Lebanon (MNN) – Heart for Lebanon is in the work of leading people from despair to hope through Christ’s love. 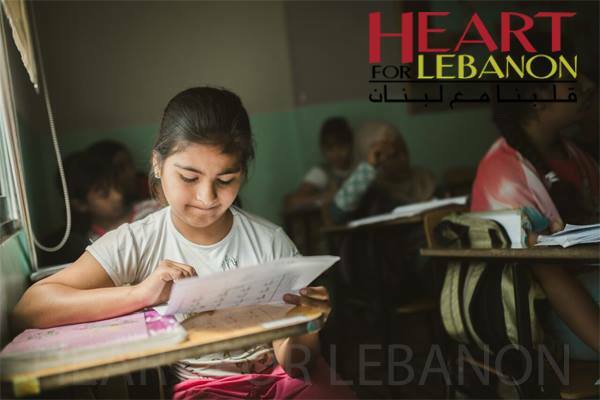 One of the ways Heart for Lebanon does this is in the Bekaa Valley with its educational program for refugee children. However, this program is impacting more than just the students. “The impact is on their parents as well. Because at the school we are teaching [students] and we see that their mentality is changing. They came at the beginning with hatred in their hearts. They came with their anger. This is what they used to say before, ‘We want to kill the one who killed us…We want to take revenge’,” Heart for Lebanon’s Bekaa Ministry Coordinator Bashir says. The educational program also teaches Bible lessons every week. It is evident how God’s Word is impacting hearts when Heart for Lebanon visits camps. Parents tell Heart for Lebanon workers how since attending the educational program, their children have changed. A daughter is praying before she eats or a son no longer curses and says insults comments. Some parents say their kids have become different people—for the better. Heart for Lebanon has a children’s program in the camps, too. This includes a traveling theater and inflatables—the stuff of kids’ dreams. The program moves through the camps in a truck and also shares Bible lessons, health lessons, and more. When the truck rolls in, parents come with their children to check out the commotion. “They are interested to hear and to listen because they like what we are giving to the kids. This truck is bringing joy when the team is coming into the camp. This truck is bringing happiness. This is very important,” Bashir says. However, work with these refugees did not begin with the programs, but instead with relationships. Bashir explains how neighborly visits, and spending time with people is valued in the Lebanese and Syrian cultures. Neighbors, even unfamiliar ones, typically visit to say hello and check-in with each other. The Bible studies Heart for Lebanon now leads began when Heart for Lebanon started visiting families in the camps. Heart for Lebanon workers would sit and listen to the Syrians’ stories. 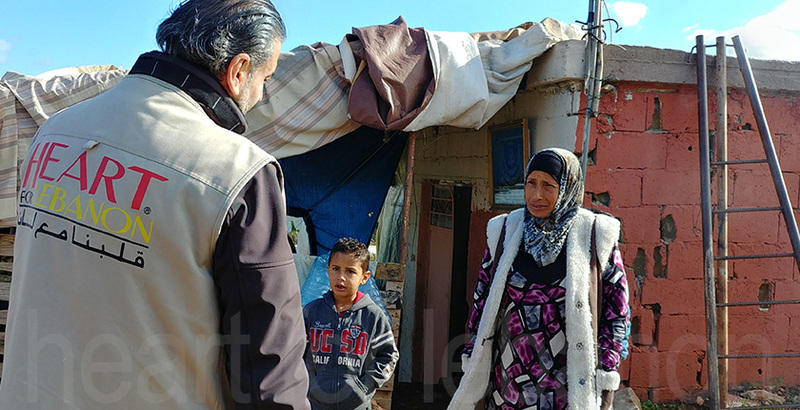 For some Syrians in the Bekaa Valley, no one was visiting before Heart for Lebanon came. Heart for Lebanon’s desire to simply sit with and listen to these families spoke louder than words. It showed the Syrians how the Heart for Lebanon workers truly and deeply card for them. Heart for Lebanon’s Christ-like love for these people makes them want to know why and to draw closer to them, even if it means attending a Bible study. Make no mistake, though. Heart for Lebanon does not expect people to attend their Bible studies. There are no religious requirements for refugees to receive visits or aid from Heart for Lebanon. “People want someone to ask about them, to show them care, interest, to show them love. “Here in Lebanon and in Syria, people consider that if someone is not visiting that means he does not like [him]…The best thing for the churches to do, and this is what we’re doing as Heart for Lebanon…is to visit,” Bashir says. Heart for Lebanon workers visit with Syrian refugees in the Bekaa Valley nearly every day. God is working through Heart for Lebanon’s obedience and love to manifest himself and his heart to people who have lost so much because of war. It’s clear He’s as work in this place. “[God] said without me, you cannot do anything. He said also, the harvest is plentiful. We see clearly that the harvest in Lebanon is plentiful, and this is why we are working. We want to harvest, and we want Him to be using us to harvest because the fields are ready for the harvest. We thank God for this opportunity,” Bashir says. Will you join Heart for Lebanon in living out God’s commands to love your neighbor and to care for the widow, the orphan, and the foreigner? If the answer is yes, Bashir says prayer is the first priority. Pray for Heart for Lebanon’s ministry. Pray God would continue to lead them and bless their work. Also, pray for the families Heart for Lebanon serves. Ask God to heal these people and to bring them into a relationship with Him. Another way to help is by providing financial resources however God guides you to do so. Learn more about Heart for Lebanon’s ministry here! Header photo courtesy of Heart for Lebanon.